A non-profit formed by the authors of The Spirit Level, The Equality Trust works to improve the quality of life in the UK by reducing economic and social inequality. On this website you'll find a variety of useful resources including research, charts and data, campaigns and news. 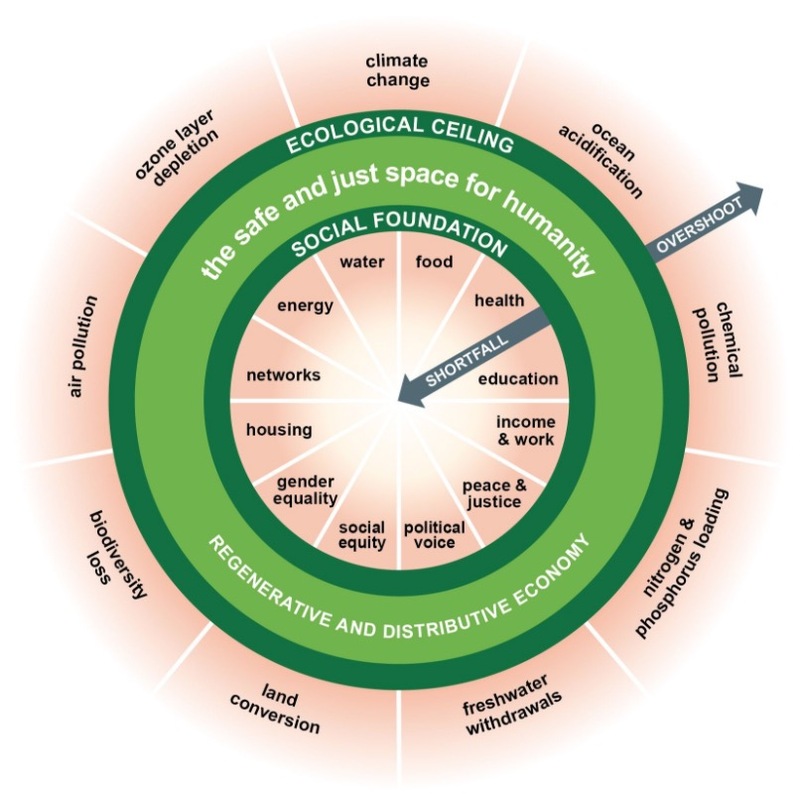 Overview/Abstract: In her book Doughnut Economics: Seven Ways to Think Like a 21-Century Economist, economist Kate Raworth illustrates the shortfalls of existing economics and introduces the "doughnut" model. Bounded by both planetary resource limits and meeting basic human needs, the doughnut represents a safe and just space for humanity. Her challenge to economists: "to ensure that no one falls short on life’s essentials (from food and housing to healthcare and political voice), while ensuring that collectively we do not overshoot our pressure on Earth’s life-supporting systems, on which we fundamentally depend – such as a stable climate, fertile soils, and a protective ozone layer." Juliet Schor’s Essay "Debating the Sharing Economy"
The “sharing economy” has attracted a great deal of attention. Platforms such as Airbnb and Uber are experiencing explosive growth, which, in turn, has led to regulatory and political battles. Advocates claim the new technologies and sharing initiatives yield utopian outcomes—empowerment of ordinary people, greater social connectivity, efficiency, and even lower carbon footprints. Critics denounce sharing initiatives for being about economic self-interest rather than sharing, and for being predatory and exploitative. Not surprisingly, the reality is more complex. This essay, based on more than three years of study of both non-profit and for-profit initiatives in the “sharing economy,” discusses what’s new and not so new about the sector and how the claims of proponents and critics stack up. While the for-profit companies may be “acting badly,” these new technologies of peer-to-peer economic activity are potentially powerful tools for building a social movement centered on genuine practices of sharing and cooperation in the production and consumption of goods and services. But achieving that potential will require democratizing the ownership and governance of the platforms. Juliet Schor, discusses her research into what has become known as the sharing economy. In her presentation, The Sharing Economy:Paradoxes of openness and distinction, Professor Schor addresses some of the claims that have been made about the sharing economy, such as: enhancing economic opportunities, spreading wealth, introducing a fundamentally different type of economic relations, the nature of self-employment, and other related issues. Using compelling narrative and graphics, this essay unequivocally shows that economic disparity "is greater now than it has been at any time in the last century, and the gaps in wages, income, and wealth are wider here than they are in any other democratic and developed economy."